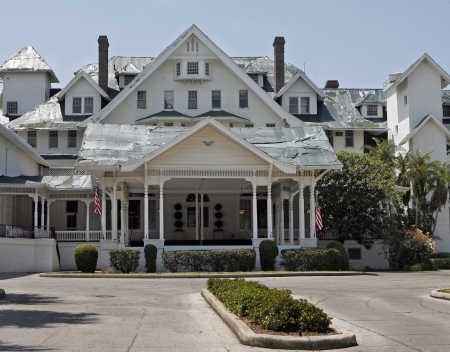 The Belleview Biltmore Hotel,”The White Queen of the Gulf,” is located at 25 Belleview Blvd., Belleair, Florida. It was built in 1896 and opened January 15, 1897. It has shingle-style elements. Michael J. Miller and Francis J. Kinnard were the architects. The Biltmore is four and a half stories, frame, three principal sections, each 400 feet long, broad verandahs built on enchanting landscape. It is the largest wood-frame building in Florida. Hotel constructed for Henry B. 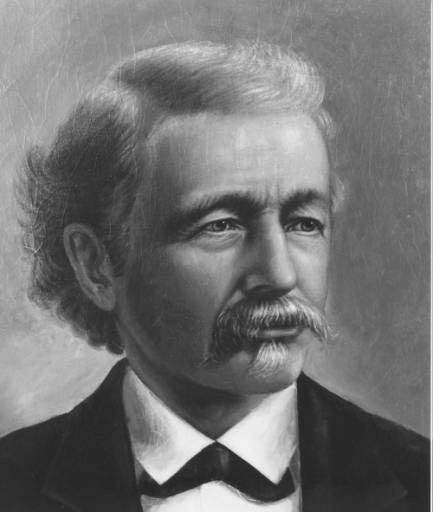 Plant, who developed the railway system on the Florida West Coast during the 1890s and sought to increase traffic by building tourist facilities. 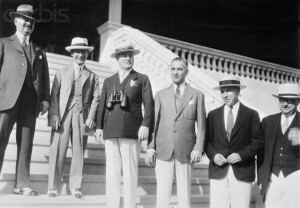 In 1920 John McEntee Bowman purchased the hotel from the Plant Investment Company. 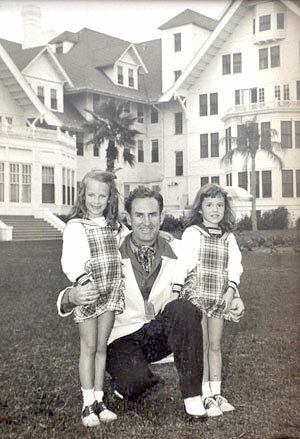 John McEntee Bowman, was president of the Bowman-Biltmore Hotels Corp, international sportsman and owner of the Biltmore chain of hotels. the new name Belleview Biltmore Hotel. So for 85 years, the name Biltmore is associated with the Belleview. The name Hence the beginning ofBiltmore is tied in with so many other Biltmore hotels around the country also. Bowman developed several Biltmore Hotels through the country during this time period, all bearing the Biltmore name, which was said to be drawn from the Vanderbilt family estate of the same name in North Carolina. Other owners include Bernie Powell who owned the Biltmore for 42 years, Mido, the Jetha Brothers, Urdang and now Legg Mason. This national treasure has enriched the lives of guests since 1897. It is listed on the National Registry of Historic Places, and National Trust. Many famous dignitaries have been guests at this hotel including the President George Bush, President Jimmy Carter, President Gerald Ford, the former King of England, (the Duke of Windsor) the Vanderbilts, the Pew family of Sun Oil, the Studebakers, the DuPonts, Thomas Edison, Henry Ford and Lady Margaret Thatcher, baseball legends Babe Ruth, Joe DiMaggio, and entertainers Tony Bennett, Bob Dylan and Carol Channing. In World War II the hotel was closed to tourism, and the U.S. military moved in to train its troops. The windows were painted black so the enemycould not see the hotel at night. Bob Dylan played at the Belleview Biltmore on 4-22-1976. BELLEAIR —The Belleview Biltmore Resort & Spa is laying off 300 employees — virtually all of its staff — in early April. But the layoffs aren’t tied to the lagging economy, hotel representatives say. Instead, they’re linked to previously announced plans to close the 112-year-old hotel at the end of May to prepare for the landmark’s $100 million makeover, said Martin Smith, vice president and managing director of Belleview Biltmore Resort Ltd. The layoffs, which include employees at the hotel’s Cabana Grill & Bar on Sand Key, coincide with seasonal layoffs, which usually affect about 30 to 40 workers during the hotel’s slower months. “We’re going to have to say goodbye to a lot of great people,” Smith said. Smith, who started meeting with workers this week to discuss the layoffs, said the resort is planning to host job fairs for the workers. And human resources staffers will work with employees to help them hone their interview and resume-writing skills, he said. “I want them all to find jobs and take care of their families,” Smith said. The hotel’s golf club will not close, and its employees will be spared. So will security and accounting workers, Smith said. Meanwhile, renovations are in a holding pattern of sorts. A few residents have challenged Belleair leaders’ actions related to variances requested by the owner, Los Angeles-based Legg Mason Real Estate Investors, which bought the resort for nearly $30.3 million. The legal challenge filed last summer stems from neighbors’ concerns about the location of the spa, across from condominiums. The neighbors allege town leaders showed favoritism toward the owner. Last May, town leaders approved ambitious renovation and expansion plans for the historic resort. Plans include restoring the hotel’s main building and ballrooms, building a one-story spa west of the hotel, demolishing the much-maligned pagoda entrance and replacing parking lots with underground garages. The owner could begin renovating the hotel, with the exception of the spa, if it chooses to do so, said Town Manager Micah Maxwell. But Joseph Penner, managing director of Legg Mason, said his company is awaiting the results of the challenge before moving forward. He said it was necessary to prepare for the project even if the appeal wasn’t resolved yet. It’s not clear when the project will break ground. But the resort is slated to reopen in 2012, Smith said. Lorri Helfand can be reached at lorri@sptimes.com or 445-4155. I came to Clearwater five years ago especially to stay as a guest at the Belleview Biltmore. I fell in love with the fine hotel. I am delighted to learn of the proposed renovation. Good speed & God bless your project. Wow, this is very helpful information, thanks.